Glass Bubble Fish Bowl. D-10", Pack of 6 Discounts Apply ! 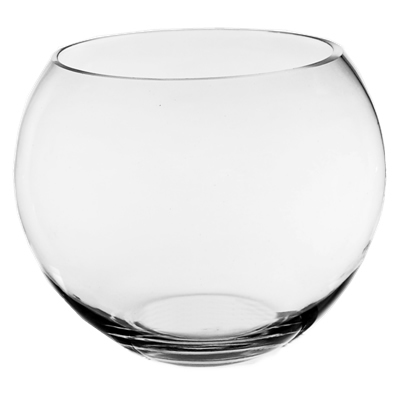 Home Decor Bubble Bowl vase, can be used for your favorite Plant Terrarium Bowl, or Fish Bowl Aquarium. Dimension: H-8", Open D - 6.5", Body D - 10"